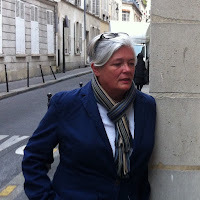 Laura M. André received her PhD in art history from the University of North Carolina at Chapel Hill and taught photo history at the University of New Mexico before leaving academia to work with photography books. She is the manager of photo-eye’s book division. By Mandy Barker. Overlapse, 2017. 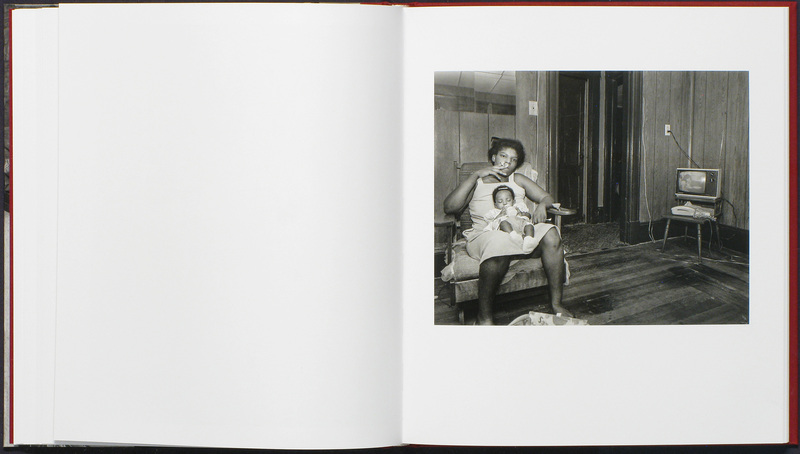 This conceptually rich photobook is the sleeper of the year. Think Charles Darwin’s On the Origin of Species meets Anna Atkins’ Cyanotypes of British Algae. From the faded and stained cover to the facsimile pages of creased, mold spotted, bleed-through paper, Mandy Barker's brilliantly conceived, designed, and executed faux-Victorian photobook deftly addresses the contemporary, global environmental crisis of plastic ocean debris. While Mathieu Asselin’s outstanding Monsanto: A Photographic Investigation addresses an equally destructive and urgent environmental calamity, I think Beyond Drifting—a wholly different kind of book—deserves greater recognition than it has received. To see all the reasons why, read my full review on photo-eye blog. 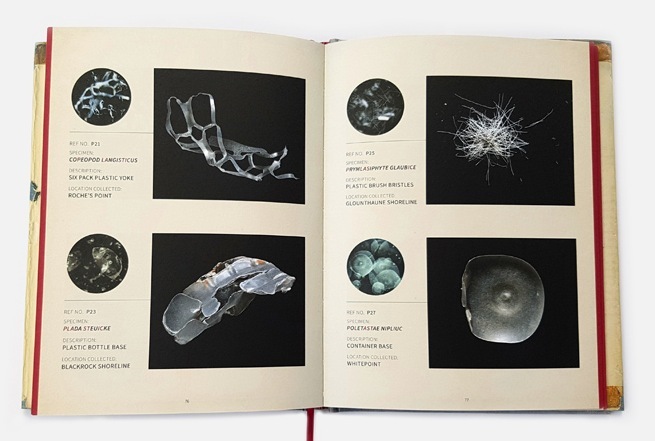 Building on rock-solid research, Barker’s book combines scientific and artistic precedents with imaginative evidence of “imperfectly known animals”: plastic plankton making their way up the food chain. That Barker has chosen a 19th-century form to address a 21st-century problem speaks to both the power and futility of the old notion of photography as proof. Her presentation of this work recalls the era of positivist science, which held that if something could be seen — in a photograph, perhaps — it therefore existed. Ironically, Barker's constructed images provide a kind of positivist proof that plastic-infused plankton exist. At the same time, despite ample visual evidence and data that warn of this and other contemporary ecological and environmental crises, far too many people — some of whom wield the power to mandate positive change — have chosen to remain in denial of what is, in fact, perfectly known. This book is a knockout! 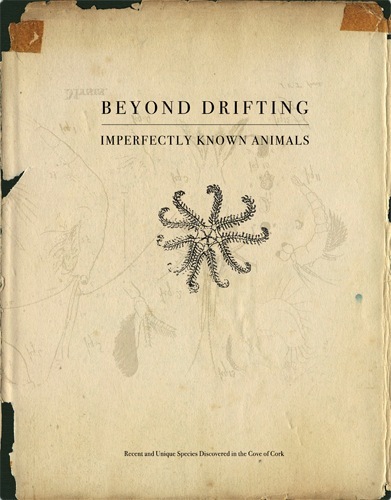 Beyond Drifting: Imperfectly Known Animals By Mandy Barker. Overlapse, 2017. 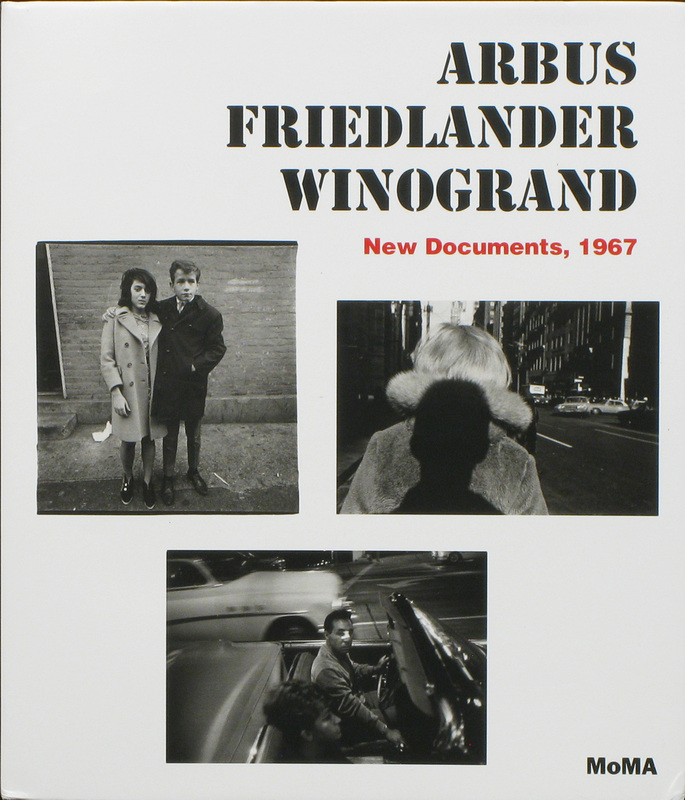 Arbus Friedlander Winogrand: New Documents, 1967. Text by Max Kozloff and Sarah Hermanson Meister. The Museum of Modern Art, 2017. The influence these artists went on to have, and their importance in the history of American photography, was not obvious at the time. MoMA did not even go to the trouble of publishing an exhibition catalog. Lucky for us, MoMA has addressed this lacuna, enabling us to experience a kind of exhibition time travel with the benefit of 20/20 hindsight. 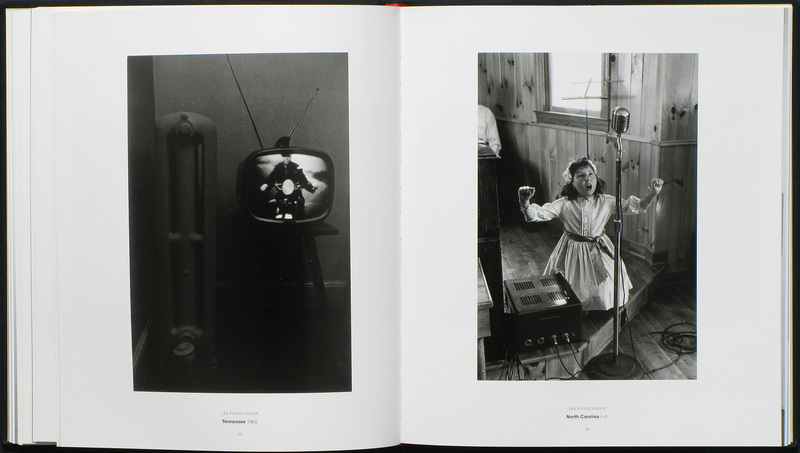 Most importantly, the book reproduces all 94 photographs in the exhibition, including the best and most iconic examples from each artist, as well as photographs that, for various reasons, have not been seen since. Installation shots reveal the show’s modest and minimal presentation. Every time I look through this book, I feel like I was there. Arbus Friedlander Winogrand: New Documents, 1967. Text by Max Kozloff and Sarah Hermanson Meister.The Museum of Modern Art, 2017. Reading Raymond Carver By Mary Frey. A teenaged girl hunches over an 8-track player, probably straining to hear a back-masked message on her Led Zeppelin tape, while other cartridges and a disco album rest on the bed she's sitting on — a typical scene from a middle-class, white adolescent of the period. Except it's not. The cover image for this intriguing book exemplifies the strangeness of the images within. The photographs, from Mary Frey's series Domestic Rituals (1979–1983), fascinate me with their details (at the same time mysterious and telling) and the stories they suggest (simultaneously inviting and impenetrable); I find myself returning to them again and again. Popular magazines and family snapshots were Frey’s inspiration, but her images are instead carefully constructed examples of what A.D. Coleman was then beginning to define as photography’s directorial mode. In contrast to the medium’s long association with documenting reality, these photographs instead demand the same suspension of disbelief that literary fiction writers ask of their readers. 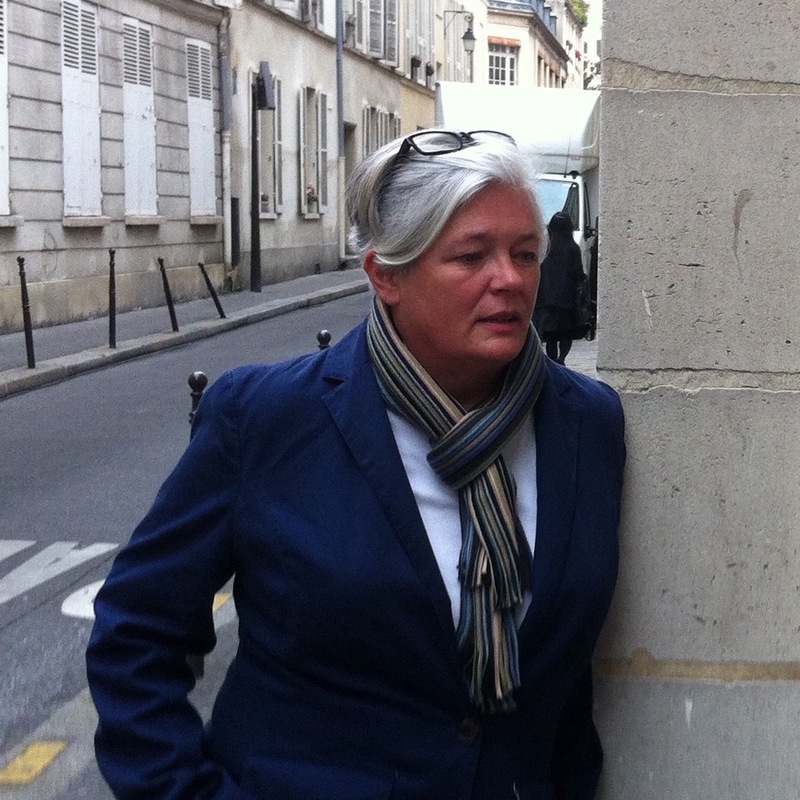 Frey’s images, like Raymond Carver’s short stories, evoke familiarity and unpretentiousness. But they are teeming with heightened drama. Just when you think nothing of consequence is happening, the most crucial and important things are happening. But you have to pay attention. 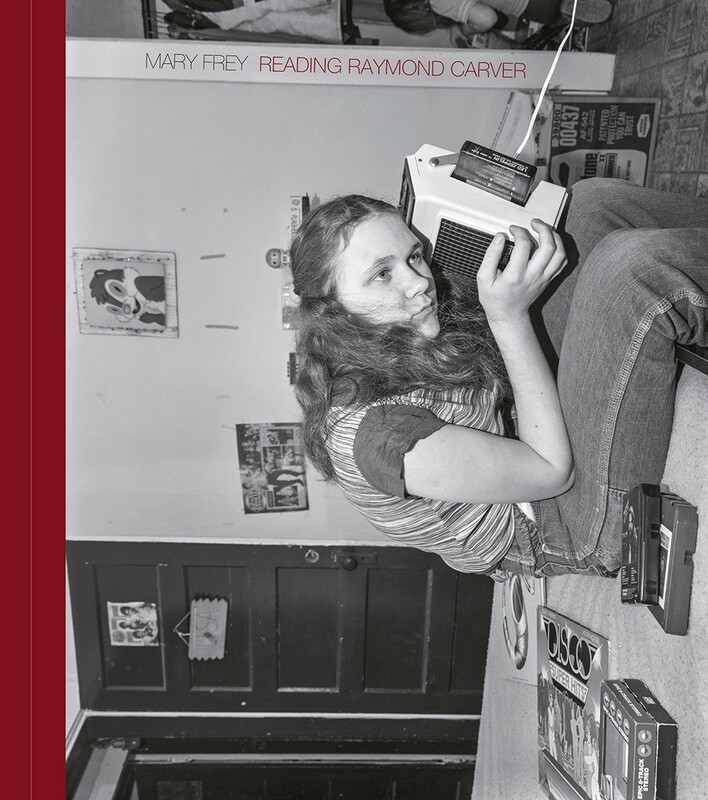 Reading Raymond Carver By Mary Frey. Peperoni Books, 2017.